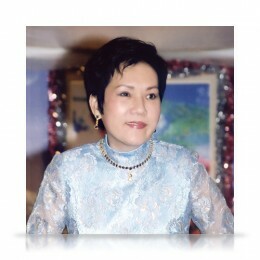 On the evening of Christmas Day 2001, The Supreme Master Ching Hai and fellow practitioners celebrate together in the Florida Center. During this special gathering, disciples share their inspiring stories of the immense blessings that God showers upon them, and how Master’s love and protection manifests in their lives, in so many different ways. Through positive actions, our environment is blessed and uplifted. Through meditation and sincerity, God gives us the power to improve the planet by setting a noble example to others. Open one vegetarian restaurant and a whole street of vegetarian restaurants could open! Even in the most difficult situations, with dedication to spiritual practice, disciples surmount the challenges they face, and raise their consciousness to witness beautiful realms of the heavenly kingdom. The tests of the material world are truly blessings to encourage us to turn inwards to find our true selves.